KKR, a leading global investment firm, announces an investment into southern European logistics real estate through a new joint venture with Round Hill Capital, a leading real estate investment, development and asset management firm, and Pulsar Properties. 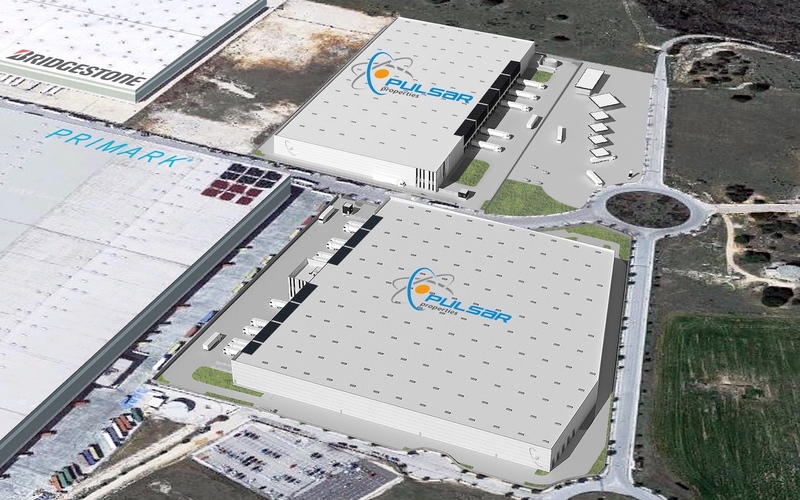 The joint venture, PULSAR IBERIA LOGISITCS, is forward purchasing four well-located purpose-built Spanish logistics warehouse developments in Madrid (3) and Barcelona (1). The joint venture continues to seek further logistics investments across select areas of Spain and southern Europe as part of the expansion of its Southern European Logistics platform. The four logistics developments are being acquired from and developed by Pulsar Properties, a renowned logistics developer in Spain of industrial, logistics and intermodal infrastructures. These four logistics developments are the first investments by the joint venture in Spain, a country which exhibits positive investment fundamentals, increasingly favourable demand/supply dynamics and robust economic performance. These four institutional-quality development schemes are strategically located in the strong and established logistics markets of Madrid and Barcelona, in areas with excellent transport connectivity, deep tenant demand, low vacancy rates and a very constrained supply of available logistics buildings and development land. Ontigola, Madrid: located in Ontigola, south of Madrid on the third logistics ring, facing the A4 and near to the A5, R4 and R5 motorways that link Madrid to the South of Spain. The site benefits from good city centre and airport connectivity and he freehold logistics warehouse has a gross internal floor area of 21,145 sqm. Barcelona: located in Parets del Vallès, facing the AP-7 in the intersection with C-17 road, both forming part of the Mediterranean trade corridor linking northern Barcelona to the South of France, south to the rest of Spain via the E15 along the Eastern coast. The site benefits from good city centre and airport and port connectivity. The freehold logistics warehouse asset has a gross internal floor area of 19,907 sqm. Torija, Madrid: two freehold high specification logistics warehouse developments of 33,091 sqm and 20,280 sqm respectively, located on the third logistics ring of Madrid with good access to the city centre and the A2 motorway, and good connectivity to the A1 motorway, ensuring good links to the North of Spain and the rest of Europe. The site is also closer to Barcelona, which is accessible well within the maximum drive time. RPE, the Iberian specialist real estate investment advisor, brokered the transaction and advised on the formation of the joint venture. Freshfields Bruckhaus Deringer provided the legal and structuring advice for the new vehicle. “We are pleased to have concluded a joint venture agreement with KKR and Round Hill Capital, which has resulted in the creation of the PULSAR IBERIA LOGISTICS vehicle. This vehicle, whose medium-term goal is to acquire 400,000 sqm of logistics space benefits from having a seed portfolio of four logistics platforms in different locations (Barcelona and Madrid) with a total area of more than 94,000 sqm. “Round Hill has been evaluating the Spanish and southern European logistics real estate markets for several years and we have been strengthening our existing management expertise and capabilities in Spain. In joint venture with KKR, we have significant dedicated capital to deploy in select areas of Spain and southern Europe, which continue to see long term supply constraints of well-located high-quality logistics assets with excellent transport connectivity coupled with deep and increasing tenant demand. KKR is a leading global investment firm that manages multiple alternative asset classes, including private equity, growth equity, energy, infrastructure, real estate and credit, with strategic partners that manage hedge funds. KKR aims to generate attractive investment returns for its fund investors by following a patient and disciplined investment approach, employing world-class people, and driving growth and value creation with KKR portfolio companies. KKR invests its own capital alongside the capital it manages for fund investors and provides financing solutions and investment opportunities through its capital markets business. References to KKR’s investments may include the activities of its sponsored funds. For additional information about KKR & Co. Inc. (NYSE:KKR), please visit KKR’s website at www.kkr.com and on Twitter @KKR_Co. Pulsar Properties and its business group form a group of companies highly specialised in land management, promotion, development, and refurbishment of industrial, logistics and intermodal platforms in Spain. Our extensive track record surpasses more than 25 years in the logistics and intermodal sector and has resulted in our company being considered by the sector as one of the main players in the development of these types of assets in Spain.